There is a common misconception that if a company engages in paid adverting that they have little need for PR. Róisín Maxwell explains exactly why this is not the case. Although advertising allows a company to have a consistent presence in publications or on air, editorially placed articles and broadcast interviews are more beneficial when it comes to a business telling their story. PR sparks a connection with your audience and promotes key messages. Consumers are more likely to believe and trust an article or broadcast interview opposed to an advertisement that they know has been paid for. Advertising and public relations work well together but each have individual benefits that the other is unable to deliver. PR campaigns and activity bring an element of credibility that advertising doesn’t. Independent editorials, features and interviews on a company or brand is given more attention than a paid advertorial which many people now skip and barely skim. PR done well adds value to the companies’ message, tells the businesses story and grabs attention. 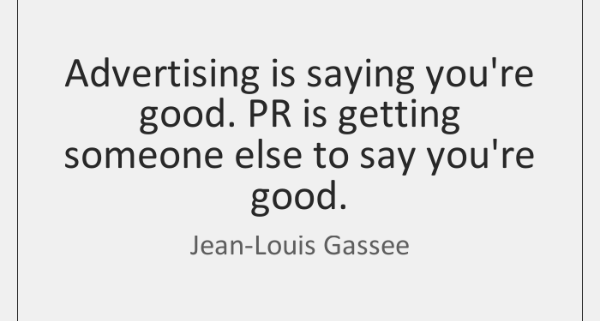 http://purcellmasterson.com/wp-content/uploads/2019/02/jean-louis-gassee-advertising-is-saying-youre-good-pr-is-quote-on-storemypic-2696e.png 600 600 Roisin Maxwell http://purcellmasterson.com/wp-content/uploads/2017/04/purcellmasterson.png Roisin Maxwell2019-02-28 15:58:072019-02-28 16:04:18WHAT IS THE DIFFERENCE BETWEEN PR AND ADVERTISING? As all pet parents know, dogs have amazing personalities and each pooch has their own unique personality traits. Recent UK Research has shown that dogs often mirror their owners’ personalities, picking up many of their traits. 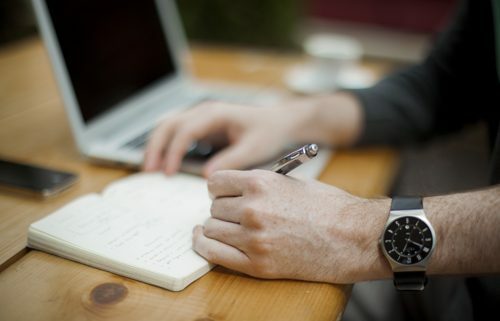 A press release is a good method by which you can inform the public of something new and interesting that is taking place within the company/organisation. It is an effective way to reach out and tell the general public about something that they might like or need, to know. We write press releases when we believe there is something that is deserving of media attention. In order to attract the media’s attention, we need to ensure that we write concise and interesting press releases that will be enticing to journalists and producers within the print, TV and radio realms. Bearing in mind they receive hundreds of press releases on a weekly basis, there needs to be a good reason in the headline for them to pick it up and consider it. A good PR agent has the expertise to ensure that your press release will reach your target audience and offer a hook to journalists that they will not be able to ignore! Editors are always thinking of their readers, listeners and viewers. Only issue a press release if you have something interesting to say! There is no point in writing a press release and taking the time to send it out and follow it up, if there is nothing of interest or of use within the pages. The most important point of a press release is the hook that will grab the reader and entice them to read it and then use it in their publication and/or programme. Look at the press release critically – would you read it? To alert the public to an event, study results, a campaign, charity event or news story in the area. To inform about a new product on the market. To generally promote the brand and profile of the company within the public eye when there is a good reason to do so. Bearing in mind that although you think your press release is of utmost importance, many journalists will not. Pitching journalists in an enticing manner is vital. A good PR agent will choose your audience correctly by targeting journalists who are relevant and will write or speak about the topic in which you are promoting. There is no point in targeting a motoring journalist with a story about property or vice versa. PR professionals will think about the key media targets active on the issue you are discussing and target these people first and foremost from their contact lists. The world of newspapers in particular has changed dramatically in the last decade. Now more than ever the news pages of the newspapers are dictated by advertising and are extremely commercially driven. Those that pay will get the space. Now more than ever to target your press release in such a way that it is enticing and worthy of space or airtime. PR professionals are the best people to do this in an appropriate manner. To summarise, it is advisable to seek professional help when deciding to issue a press release about your business. A PR professional will keep your press release relevant and newsworthy and of value to the reader/ listener while also targeting the correct journalist. It is important to only write a press release when it is merited and pitch it at the appropriate time and to the appropriate person. If you enjoyed this article you may also like Recycle your Press Release in 7 Easy Steps.